When you are visiting Ivy Lawn Memorial Park please stop in and visit our large historic chapel. 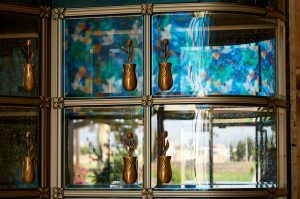 We are offering new custom designed glass front niches that incorporate the beauty of our stained glass windows and natural sunlight. The glass design is modern and sleek. Plus you are able to personalize these niches and make them your own.